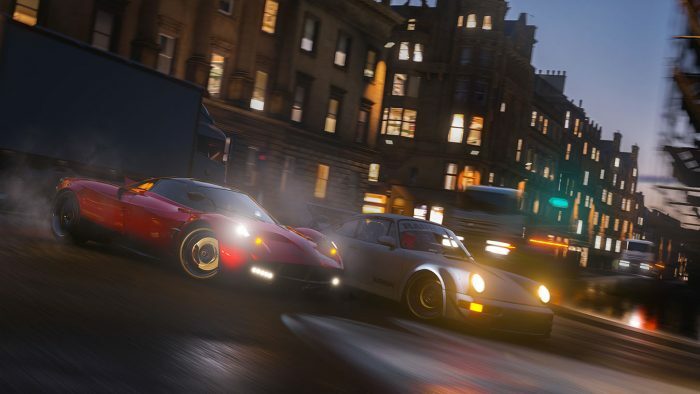 E3 2018 is upon us, and not surprisingly, Microsoft announced Forza Horizon 4 at the Xbox E3 Briefing. Leading up to the E3, speculation of where Horizon 4 would be set was pointing towards either Japan, or Britain. Britain proved to be the correct answer, as Britain will be this entries playground. New for this entry is the addition of seasons, will the world changing between Spring, Summer, Autumn, and Winter. The different seasons affect the environment, with winter freezing over lakes and opening up new areas that were previously inaccessible. Ice drifting anyone?As with previous entries, Horizon is an open world for you to explore and race or drift with your friends. Race off road or on road as across a variety of terrains that Britain has to offer. Following the E3 Briefing, we attended the Xbox Showcase and got some hands on. I was able to play both with an Xbox controller and a simulation rig outfitted with a Fanatec Clubsport wheel and Clubsport pedals V3, oh, and a motion set up. The demo had you start off by choosing a McClaren Senna, Dodge Viper, or Porsche Cayman GT4. After selecting your ride of choice, you go on to race through the countryside during Autumn. Then it jumps to Winter as you race off road trucks across the ice and through the snow. Jumping into Spring you race a rally Ford Fiesta against motorcycles, on the motion sim rig I was able to thread the needle as I drove through a concrete pipe barely big enough to fit my car. Finally it puts you in the McClaren Senna in Spring to finish out the demo. I haven’t been the most interested in the Horizon versions of Forza before, as I prefer simulation games over the arcade racers. That said, 4 was actually really fun, and I’m actually looking forward to it’s release on October 2nd on Xbox One and PC.